At some point during my day you might notice me sipping on a Ready-to-Drink (RTD) meal replacement drink. It has been one of my biggest keys for keeping my metabolism revving and not skipping meals - and ultimately staying lean throughout the years. As I always stress there is nothing like the real thing.. real food that is. A meal of lean protein, slow digesting carbs and vegetables is how you should eat regularly if you want to lose fat or stay lean. But during our busy lives it is often not possible to always have that type of meal - especially in a work environment. Doesn't look very good when you are trying to teach a class or attend a meeting while chomping on your healthy meal! And because of this, busy individuals often skip meals and wait to eat until it is practical. At this point your metabolism has lowered and your appetite is through the roof. This is a nasty formula for hitting the fast food drive-thru on the way home. RTDs do the trick and help prevent you from doing this. The only thing that has always been on my mind in regards to RTDs is what is really in them. Yes they have the proper ratio of protein, carbs and fats - but what about the preservatives and artificial sugars? Well finally a company, Orgain Nutrition, has got the formulation right. 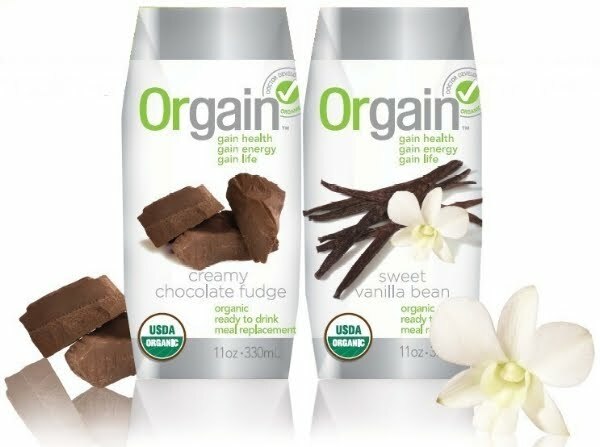 Their RTD, Orgain RTD meal replacement drink, is USDA certified organic and it has no artificial sugars. I highly recommend this product if you tend to go longer than 3-4 hours with out a totally balanced meal (source of protein, carbs and fats). You will notice a difference in your energy and especially with your appetite and cravings? It is also sold at all Whole Foods Stores. Give it a try, great product. Nowadays it become easy to lose weight, there are number of products in market like Meal Replacement Bars to reduce your weight within 90 days. New Diet Taps into Innovative Idea to Help Dieters Lose 15 Pounds in Only 21 Days!